Bring the little ones along for the 1K for Kids and share in the fun and healthy activity at the Tufts Health Plan 10K for Women on Monday, October 12, 2015. The 1K for Kids will be held on the historic Boston Common at 10:30 a.m. This event is free and open to all, and is a great way for kids to exercise while meeting other children interested in fitness activities. The race is recommended for children ages 10 and under. The children’s race day will start with a warm-up stretch led by Olympic gold medalist Joan Benoit Samuelson. 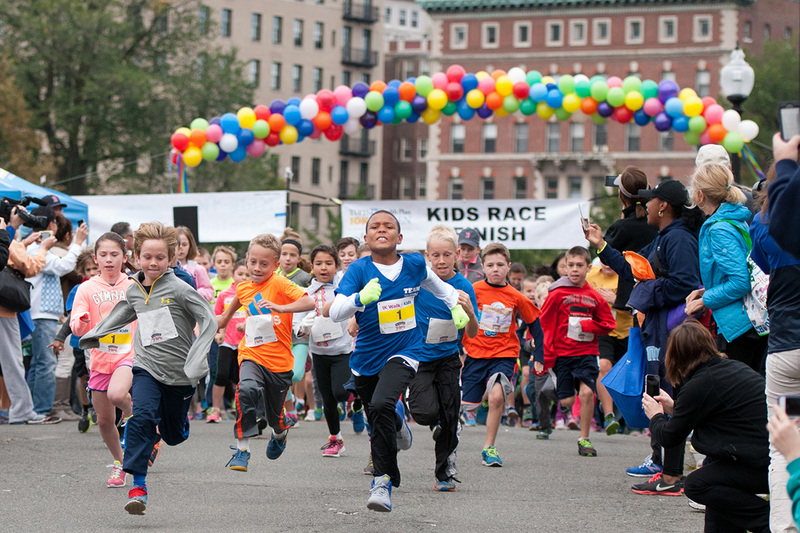 The 1K for Kids race course is a fun loop through the Boston Common and at the end, the young athletes can enjoy a healthy snack, get their face painted and more! Please register for the 1K for Kids here. Registration will also be available at the Boston Common on the day of the race. The whole family can then stay to cheer on the field for the 39th running of the Tufts Health Plan 10K for Women starting at noon. There are more than 7,000 Tufts Health Plan 10K for Women participants that include elite athletes, wheelchair and handcycle racers, visually impaired runners, recreational runners and walkers. For more information and to register for the 2015 Tufts Health Plan 10K for Women please visit here. In addition to the race, the Sports & Fitness Expo, on the Boston Common, from 9 a.m. to 3 p.m., will offer a variety of activities focused on supporting health and wellness. Browse new fitness clothing and accessories, sample healthy foods and enjoy fitness demonstrations and many other tools used to encourage people to take part in an active and healthy lifestyle.